Beauty press alert. Save the world. Buy regional. Best-ofs and must-haves. 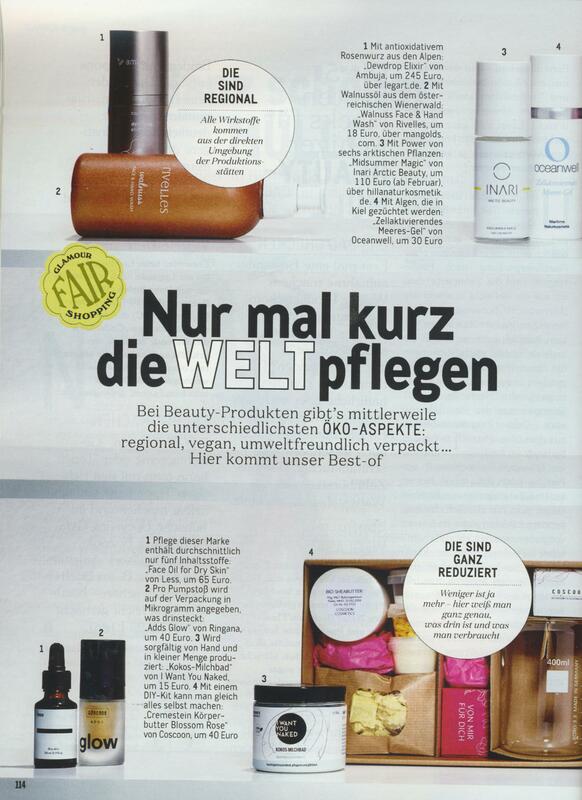 dewdrop elixir – featured in GLAMOUR Germany. The beauty jury says that this supercharged skin elixir is the ultimate hydration 24/7 hack utilizing local superfood and adaptogenic bioactives found in the Bavarian Alps. So why not turning organic together? Stay tuned, well protected with ambuja’s skin saviours.